First ACA enrollment a success. Now what? There were several important victories as well as some setbacks for Nebraska’s working families in the 2014 Nebraska Legislature session, which adjourned in April. Senators passed bills to help foster youth make a healthy transition to adulthood, stop wage theft from Nebraska workers, and make it easier for people to reenter the workforce after leaving the criminal justice system. However, the Legislature also failed to pass several measures to help remove barriers for our state’s hardworking families with low incomes including bills that would have provided health coverage for at least 54,000 people and raised Nebraska’s minimum wage. On March 31, the Legislature voted down LB 943, a bill introduced by Sen. Jeremy Nordquist that would have raised Nebraska’s minimum wage to $9 per hour. However, the discussion is far from over. Sen. Nordquist is trying to take this issue straight to Nebraska voters with a ballot measure this fall and will attempt to gather 80,000 signatures by July to put the issue on the ballot. The numbers are clear. Hard work just isn’t paying like it used to for Nebraskans, and it’s hurting our economy. Our state has one of the lowest unemployment rates in the country, but among surrounding states Nebraska has the second-highest percentage of employees making minimum wage. We’ve reached an unfortunate milestone under the Obama Administration – 2 million people have been deported from the U.S. under outdated policies, taking a devastating human and economic toll. Last month, The New York Times published a study that shows two-thirds of those people deported have committed only minor infractions such as traffic violations, or had no criminal record at all. The U.S. is paying far too high a price by Congress continuing to delay common-sense immigration reform and people across the country – including many Nebraskans – are fighting for change that will stop breaking apart families, boost our economy and secure our future! 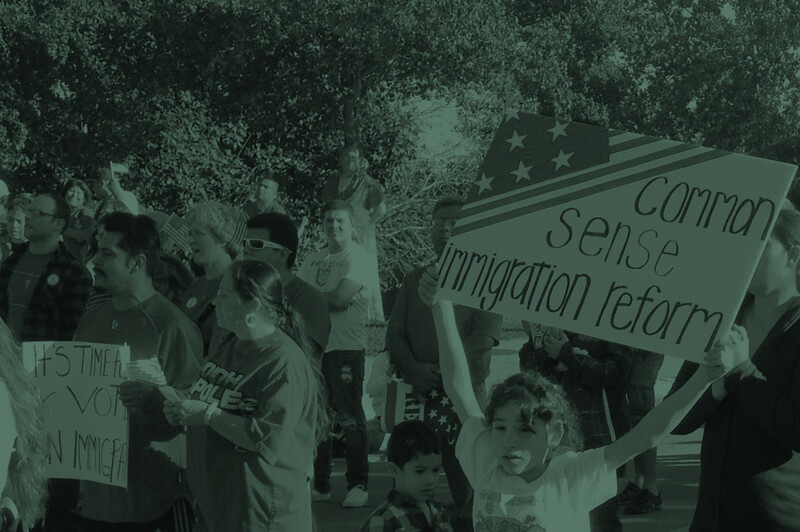 Take Action today and urge Congress to pass a new immigration law. Nearly 43,000 Nebraskans got covered in ACA enrollment. So, what’s next? A big congratulations is in order for all of the organizations and individuals who worked tirelessly throughout Nebraska state to make the first Health Insurance Marketplace open enrollment period a success! It was announced May 1 that almost 43,000 Nebraskans successfully enrolled in private coverage through the federally run Health Insurance Marketplace, and more than 8 million Americans were able to get covered in the first enrollment period from October 2013 through March 2014. So, what’s next for Nebraskans who need health coverage? Match Your Donation to Appleseed on Give To Lincoln Day! Save the date for Thursday, May 29, 2014 to donate to Appleseed and match your gift! The Lincoln Community Foundation’s Give to Lincoln Day is a 24-hour event focused on making a real impact on Lincoln’s quality of life and supporting Lincoln’s nonprofit organizations. Your donation on May 29th will help Appleseed even more because Appleseed will receive a proportional share of a $300,000 challenge match pool! Last year, donors like you gave $30,000 in a single day and leveraged a $3,400 bonus match to Nebraska Appleseed! With your gift, we will continue the fight for justice and opportunity for all Nebraskans wherever we can do the most good – whether that’s at the courthouse, in the statehouse, or in the community.